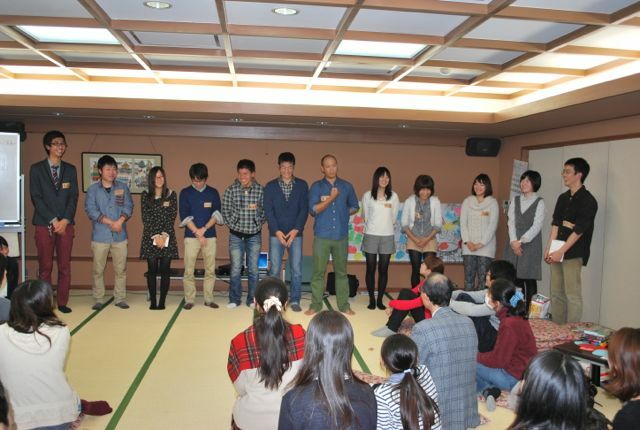 November 16-18, 2013, Annual Kiyosato Meeting was held in Kiyosato, Yamanashi. 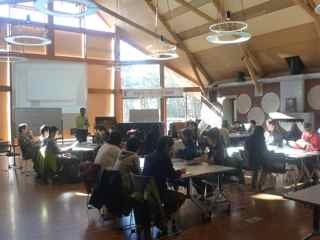 Over 200 people involved in environmental education gathered at same place and ECOPLUS made presentation and workshop focus on PBE (Place-based Education) to the participants. 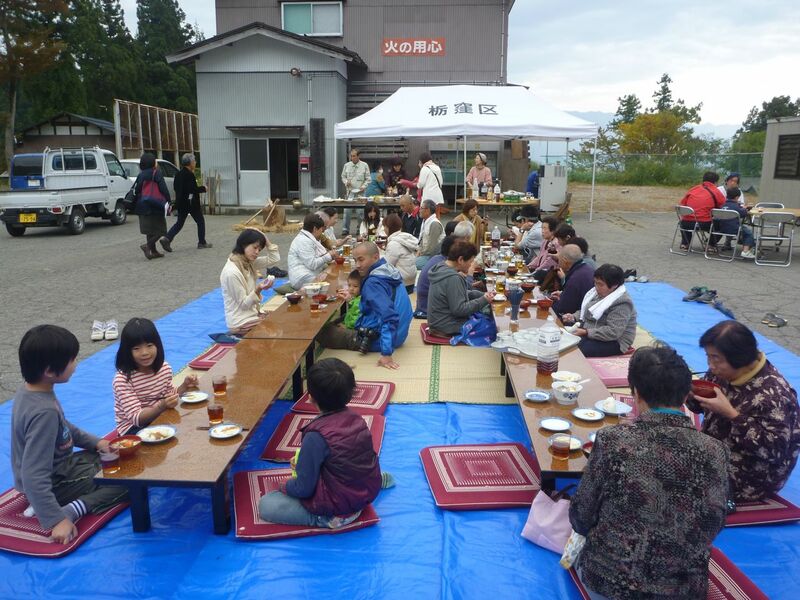 A lot of people discussed about what is \”root in the place\”. 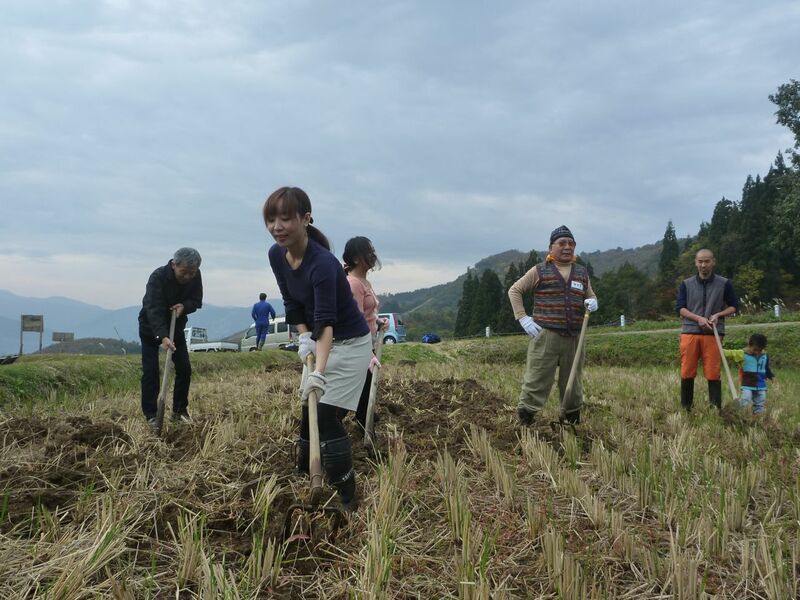 Novemver 16-18, 2013, Japan Environmental Education Forum(JEEF) held 27th \”KIYOSATO MEETING\” in Yamanashi Pref. 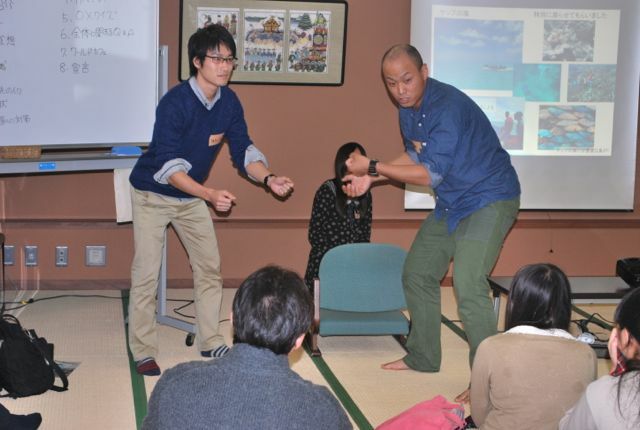 Over 200 people gathered from all across Japan and had workshops, presentations and information exchange. ECOPLUS gave \”3-hour Workshop\”, \”10-min Presentation\” and \”Booth Exhibition\” on Place-based Education(PBE). In \”10-min Presentation\” part, 27 organizations and individuals gave audience brief presentations. Mr. Mizumura from ECOPLUS introduced PBE basics and committee activities of these 3 years. Stimulating theme collected over 50 audience to the booth. 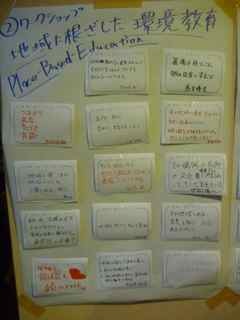 \”3-hour Workshop\” on second day gathered 33 participants. Mr. Ohmae, General Manager of ECOPLUS introduced PBE idea, world\’s trend and ECOPLUS\’s activities. After comments from Dr. Abe (Rikkyo University) and Mr. Takagi(NPO Neos), workshop moved to group discussion. In each group, members discussed and introduced; their activities, necessity to \”rooted in place\”, relationship between cities and countrysides, why young generation goes to city after studying, citizenship and so on. Lastly, each person filled a comment sheet, which says \”What is \”rooted in the place\”\”. Some answers are; \”notice, learn, change and continue\”, \”to have a place to die, make place to own hometown\”, \”people live in the regions take activities as their own matters\”, etc. ECOPLUS\’s committee on PBE with 7 professionals to build \”a model of PBE\” will hold a international symposium and last session on 1st February 2014 at Rikkyo University.